The Good Samaritan Society, a Lutheran Social Service Organization, is a not-for-profit, registered charity with over 65 years of experience providing specialized health and community care services in innovative and caring environments. The Supportive Living program at Good Samaritan Garden Vista offers seniors a high level of quality care in a unique home-like environment. 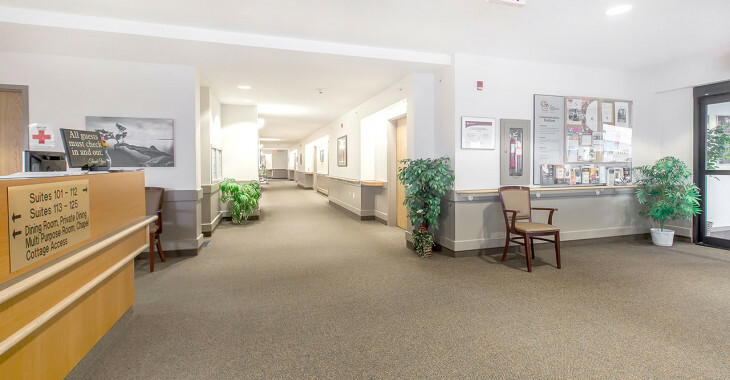 Residents direct their own lifestyle preferences and personal care services and caring compassionate staff assist residents on a 24-hour, seven days a week basis. LPNs, supportive living workers, food services, therapy services and community Home Care Nurses work together with the residents to help them decide the best choices. 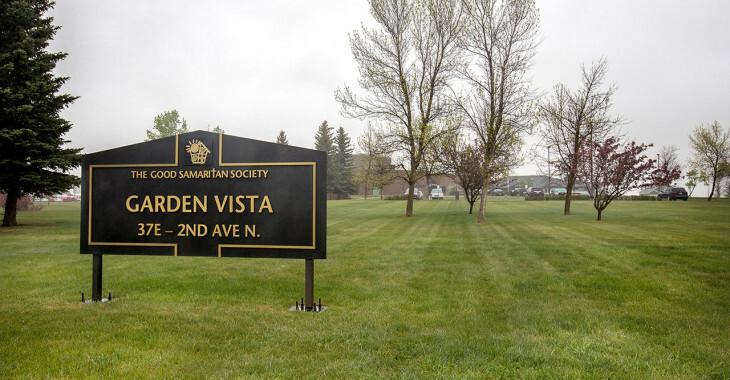 Good Samaritan Garden Vista is fully wheelchair-accessible with amenities such as common areas with cable television, multipurpose rooms, lounges, a dining room, private family dining room, chapel and laundry room. The common areas are decorated to be home-like and inviting. Good Samaritan Garden Vista also boasts a beautiful landscaped yard. Each studio suite is approximately 400 square feet, has a locking door, combination living/sleeping area, a kitchenette and a three-piece bathroom with wheelchair accessible shower. Residents provide their own furnishings to suit their own lifestyle. There are also 10 dementia care beds housed in a cottage that has been designed to create a home-like setting for ten residents with dementia. The cottage has 10 bedrooms, a living room with fireplace, TV room, kitchen, dining room and secure access to a nicely landscaped fenced courtyard. Residents have their own private room with a 3 piece bathroom and are included in the events of daily living to the extent that they are accustomed and able. The care component of the dementia care program is based more on a social rather than a medical model of care. Personal autonomy and competencies are emphasized. Residents can participate in daily activities associated with a home-like environment. These kinds of opportunities are difficult, if not impossible, to offer in large care centres. 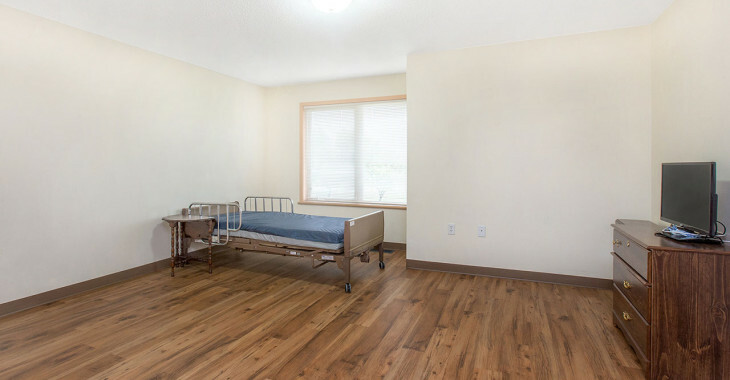 In addition, there are three Community Support Beds at Good Samaritan Garden Vista available for short stays for a period up to two months for clients requiring respite, palliative or convalescence care. 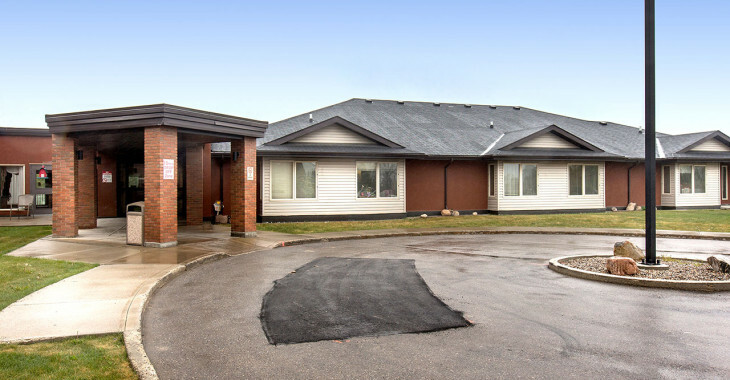 A community health clinic is located in the same building along with the Home Care Nurses office. 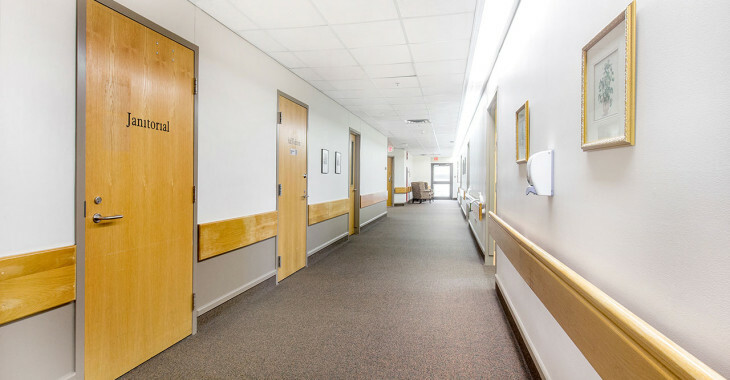 Admissions are coordinated by Alberta Health Services Regional Access Centre: 403-388-6380 (Lethbridge) or toll-free 1-866-388-6380. Supportive living provides accommodation in a home-like setting, where people can remain as independent as possible while they have access to accommodation and services that meet their changing needs. Supportive living serves the needs of a wide range of individuals. Residents in a supportive living setting can range from seniors who require support services due to age, chronic conditions and frailty to young adults with mental health or physical disabilities. For more information visit the Alberta Health website. Copyright © 2019 The Good Samaritan Society. All rights reserved. Welcome to the Good Samaritan well wishes page. This form allows you to send a message to a loved one that is currently in our care. The email is checked every weekday and is hand-delivered by staff to residents/clients in the afternoon. Messages received after 1 p.m., on weekends, or statutory holidays will be delivered the next business day. Please note that this tool is only to be used for well wishes – any other type of communication or messages (emails conducting personal business, containing questionable content, or solicitations) will not be delivered and will be deleted from the system.